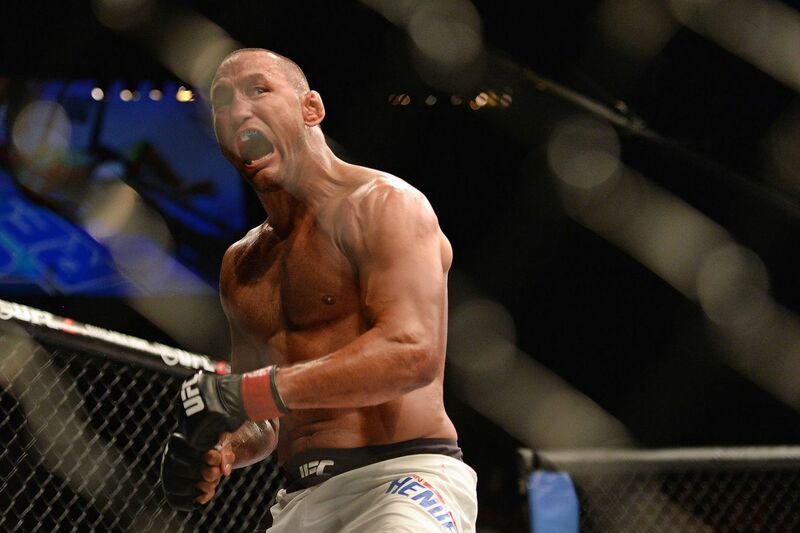 For 45-year-old Dan Henderson, UFC 199 was tough, but it sure was sweet, too. After nearly being stopped by heavy-handed Hector Lombard, the former Strikeforce and PRIDE champion found a way to hang on just long enough to put Lombard’s lights out completely. Not only was the win a come-from-behind victory, but Henderson becomes the first person to stop Lombard with strikes in the Cuban-Australian’s mixed martial arts career. Henderson, however, will be the first to tell you the win didn’t come easy. “It’s always nicer to not get hurt in that round. I know that I felt like I hurt him a little bit and came in. He popped me. Next thing you know I’m on the ground, but I was aware the whole time on the ground. Obviously, I said ‘s–t!’ So, I just knew I needed to recover and try to get back up,” Henderson told the media at the UFC 199 post-fight press conference. That’s precisely what Henderson did before landing a head kick and back elbow that shut Lombard’s lights out at the 1:27 mark of the second round.